The success rate using standard PCI techniques was historically only about 40% to 50%. With newer technologies and techniques, the success rate at Englewood Hospital now exceeds 90%. 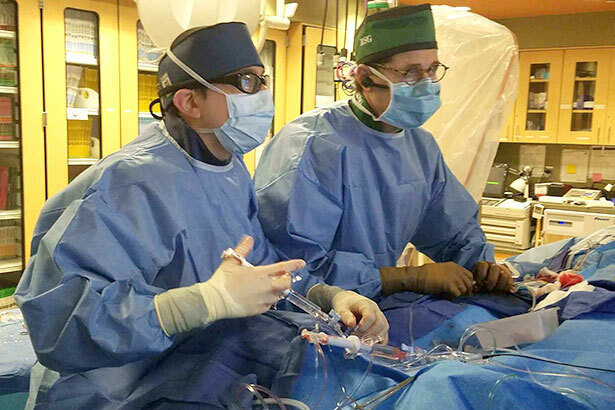 The use of novel technology in the newly established coronary artery chronic total occlusion (CTO) program at Englewood Hospital and Medical Center is giving many patients a new lease on life. CTOs are arteries that are 100% blocked for three or more months. They are responsible for clinically significant decreases in blood flow, and they can affect the survival and quality of life of hundreds of thousands of people who have artery blockages. CTOs also are identified in up to 31% of patients referred for coronary angiography. Now, a procedure called percutaneous coronary intervention (PCI) can successfully treat over 90% of patients with CTOs and improve their quality of life. While some patients with CTOs are treated with bypass surgery, 60% of them are treated with only prescription drugs. Many of these patients also are told that nothing can be done to open their CTOs using standard angioplasty and that they may end up living with chronic angina. Historically, fewer than 5% of CTOs in the United States have been treated by traditional PCI, but now with novel techniques in use at selected medical centers, including Englewood Hospital, many patients can be effectively treated with PCI. 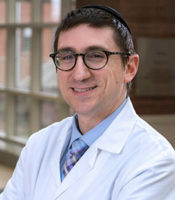 Dr. Schwarcz, along with Richard Goldweit, MD, developed the CTO program at Englewood Hospital in 2015. The program uses a hybrid algorithm to determine which methods would be most effective to achieve a successful PCI outcome. There are three techniques to cross the CTO stenosis: using wires to enter the lesion, using the subintimal space to go around the lesion and reenter the vessel on the other side, or going retrograde past the lesion. Clinicians at Englewood Hospital have treated more than 60 patients since the program began, with nearly all experiencing a lower angina burden and an improved quality of life. Second, failing past treatments for CTOs doesn’t preclude an individual from receiving effective treatment with the new procedure. In May 2015, one of the first patients to enter the CTO program at Englewood Hospital was a 57-year-old, small-business owner who was unable to work or travel due to crippling angina. He had a CTO of the left circumflex artery and had two previous failed attempts to fix the blockage. Physicians at Englewood Hospital treated the patient by opening the CTO using the novel PCI procedure.